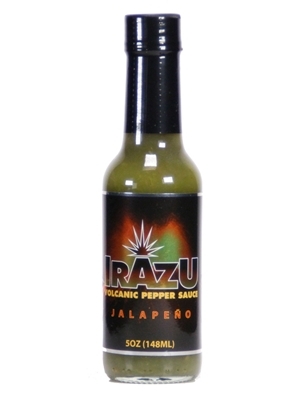 Irazu Volcanic Pepper Jalapeño Crushed Pepper Sauce combines Jalapeño peppers with onion, lemon juice, passion fruit juice, and a hint of garlic, resulting in a flavorful sauce that adds to any food. Extremely flavorful, Irazu Volcanic Pepper Jalapeno Crushed Pepper Sauce is mild enough for the most timid, but powerful enough in flavor to satisfy the most hardened chilihead. 5oz.